Date opened: The line opened 15.9.1830 but Parkside didn't appear in company timetable until 1.3.1831. Date closed completely: Probably remained open after closure to passengers for luggage. Final closure date une date unknown but it was closed by 1.5.1878 which was the date the second Parkside Station closed. Notes: Parkside was one of the original passenger stations of the famous Liverpool and Manchester Railway the world's first railway to cater for passengers as one of its primary functions. It was also arguably the worlds first inter city railway. When the line first opened on the 15th September 1830 no details exist of the initial intermediate stops and Walkers accurate description of the line at the time of opening says that fares for intermediate stops had not been settled implying that initially there might not have been any stops. When the line opened Parkside was chosen as a location for watering facilities being that it was located about equal distance between the two Lancashire cities. 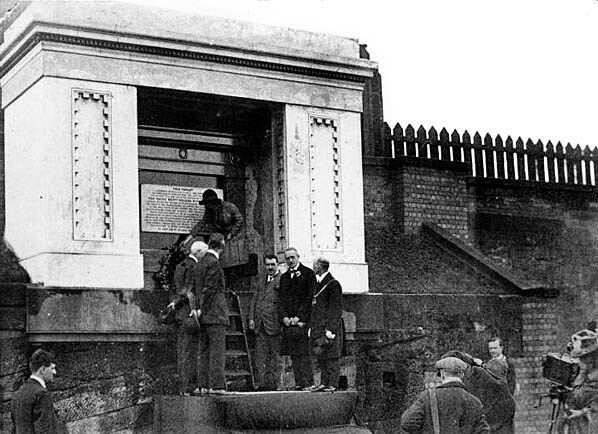 It was at Parkside during the lines opening ceremony that the MP William Huskisson was killed by a train hauled by 'The Rocket' as he had alighted from his train and had walked down the track to speak to the Duke of Wellington who was traveling on another train. A memorial was erected close to the spot of the accident which can still be seen today. In 1832 a line from Wigan (The Wigan Branch Railway) joined the LMR at Parkside. Running east to north the junction allowed trains from Manchester to proceed directly from the LMR towards Wigan. Those from the Liverpool direction had to reverse. This added to Parkside's importance. On 4.7.1837 The Grand Junction Railway (GJR) which connected to the LMR a couple of miles to the west of Parkside opened. This line connected the LMR to Birmingham. 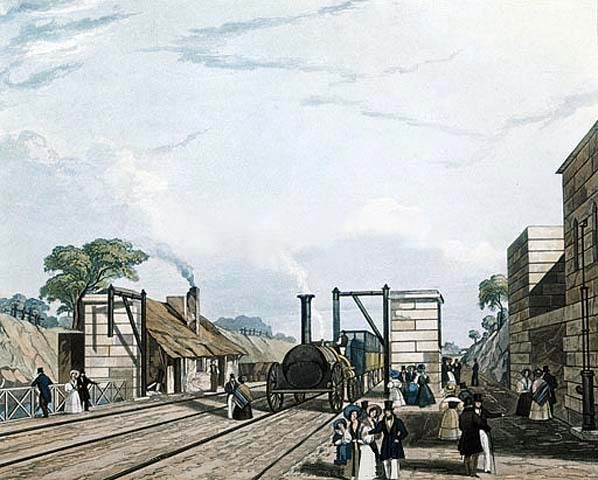 In 1838 the Wigan Branch Railway was doubled and extended to Preston. 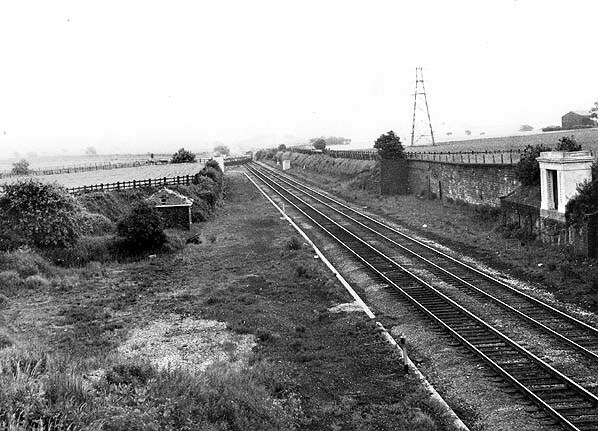 All of this development which added to the importance of Parkside led to the LMR the GJR and the Northern Union Railway (NUR), which owned the Wigan Junction line, to build a new station at Parkside. It opened in 1839 and the original station closed. The 1949 Ordnance Survey map shows the new station opened in 1839 but it also still shows the original station as a 'luggage station' indicating that the original station remained in use for luggage. The original Parkside Station is still shown as 'Luggage Station' on this 1849 map. 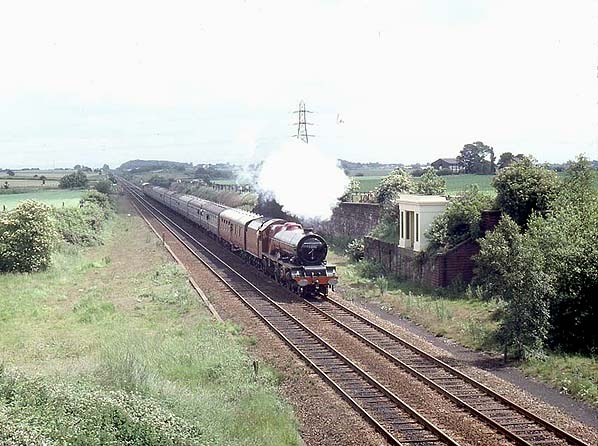 a coal train is taking the line to Wigan.